Learn Dave Ramsey’s seven easy-to-follow Baby Steps to get out of debt! If you’ve ever paid off debt using the debt snowball method, then you know how simple—and effective—it is. You throw as much money as you can at your smallest debt while continuing to make minimum payments on the rest. Once that first debt is gone, take that payment amount and add it to the payment you were already making on the next smallest debt. Repeat that step with each of your debts. The more you pay off, the more your payment grows—like a snowball rolling downhill! That momentum encourages you to keep going until you’re 100 percent debt-free. But did you know there are some surprising exceptions to the rules of the debt snowball? It’s true! Here are five debt snowball myths—and their corresponding truths—to set the record straight. 1. Myth: If you owe money on your car, sell it now. Truth: You don't have to sell your car if you can pay it off in 18–24 months. Typically people doing the debt snowball should sell their cars to eliminate their gigantic car loans. That’s because most people with auto loans own way nicer cars than they can afford. But what if your loan isn’t very big because you’ve already had it a long time or you bought a less expensive car to begin with? If you can knock out that loan in 24 months or less, then it’s completely fine to hold onto the car and pay off the loan. 2. Myth: Always pay off your debts in order of smallest to largest. Truth: Pay the IRS first no matter what. If the IRS is one of your creditors, forget everything about paying down the smallest debt first. Move your IRS debt to the top of your list—you don’t want to mess with Uncle Sam. He’ll not only charge you interest on any unpaid taxes, but he can also levy additional penalties. Yikes! You want to pay that debt off ASAP. Only after it’s gone should you start the debt snowball with the smallest of your remaining debts. 3. Myth: Start your debt snowball as soon as you have your starter emergency fund in place. Truth: Get current on bills before you start the debt snowball. 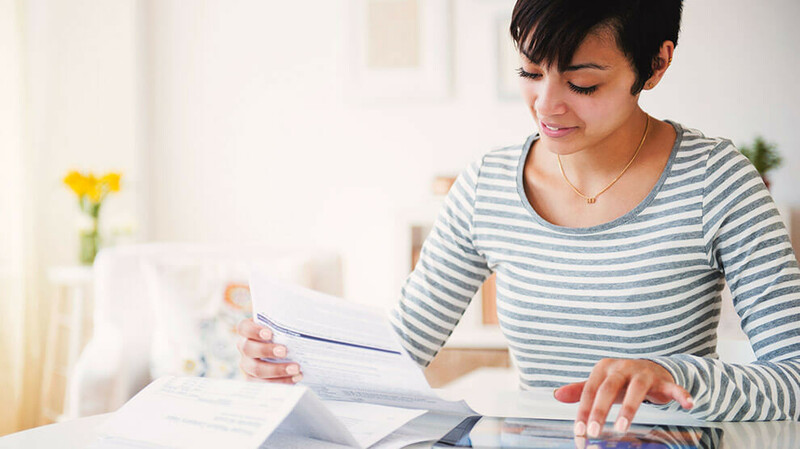 Specifically, you need to get current on household bills before you begin the debt snowball. If the utility companies have shut off your lights, heat and water, or if the bank is threatening foreclosure because you’re three months behind on those bills, other debts become secondary because you have an emergency on your hands. Get current on your utility bills and rent (or mortgage) so that you have a safe home to live in—then get serious about that snowball. 4. Myth: Continue investing into your 401(k) while paying off debt. Truth: Pause all investments while you’re getting out of debt. You’ve probably heard the financial advice that says you should start investing for retirement as soon as you can. It doesn’t matter whether you have debt or an emergency fund. You need time to let that money grow! And you don’t want to miss out on the employer 401(k) match either, right? Nope. That advice doesn’t take into account the risk involved in that strategy—and it’s a big risk! If your income disappears and you’re saddled with debt and have no emergency fund, you don’t want to have to dip into your 401(k) to make ends meet. Not only will you pay huge penalties for taking that money early, but it’ll set you back big time on your retirement savings. That’s why it’s important to pause all investing while you’re paying off debt—even the investing that gets you the employer match. Once you’re debt-free, you can pick up where you left off. 5. Myth: Once you start your debt snowball, don’t stop until you’re debt-free. Truth: You should pause the snowball for certain life circumstances. Hold off on paying down your debt until things are back to normal. Then get that snowball rolling again! Now that you have all the facts, you’ll be better prepared for the ins and outs of working the debt snowball, even if that means pausing or slowing it down sometimes. The important thing is that you always keep it headed in the same direction—forward! For more debt-payoff encouragement, read this other article on keeping your eye on the prize!